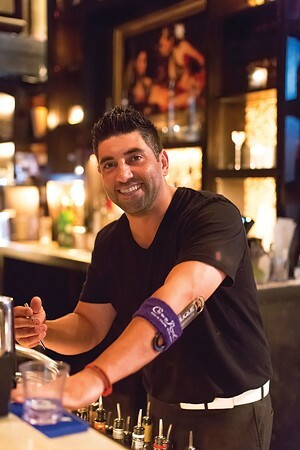 The first thing patrons notice about Cavo bartender Richie Walter is his smile. "He's not only easy on the eyes, but it's truthfully impossible not to think he's charming," says Christie Neff, a Cavo regular and friend of Walter. "He makes every guest feel like they are at a neighborhood bar and have known him for years." 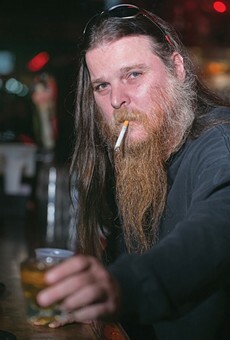 Walter's reputation is well known throughout Pittsburgh — so much so he's been invited to guest-bartend at venues around the city — so it's no surprise that City Paper readers selected him as the city's best bartender. "His attentiveness is always going to make his customers feel very comfortable, and will keep anyone coming back," says Neff, a fellow bartender. "I've been a bartender for 12 years at some of the best bars and restaurants in the city, and I couldn't imagine who would deserve this award more." Walter credits his success to lessons learned from managers and bartenders he's worked with over the years. He has more than 10 years of experience as a bartender, but says he's actually been involved in the industry since he was 15. His experience comes in handy at a popular place like Cavo, where weekend crowds flood the bar. He's learned to juggle difficult drink orders and heavy traffic while making sure no guest feels ignored. "Richie is an excellent bartender; his customer service is second to none," says Michael Holbrook, Cavo's head of security. "When you add that to his quick service, there is no question why he is Pittsburgh's best bartender. Cavo loves having him as part of their staff." "In order to be successful, you have to have repeat business and regular customers," Walter explains. "While most drinks taste the same everywhere, it's the experience that brings people back. I focus the most on making sure the customer feels comfortable and appreciated. I try to be humorous yet attentive to their needs." Walter isn't just in it for the tips. His regulars and those who have worked with him say they can tell his personality is genuine. And Walter says his favorite part of the job is getting to meet so many "nice and unique individuals." "I want each customer to remember me every time they leave my bar. That's my goal each day," he says. "I want each patron to walk out and say, 'Wow, what a nice bartender — very attentive and polite. He even remembered my drink. ...I'm definitely coming back.'"